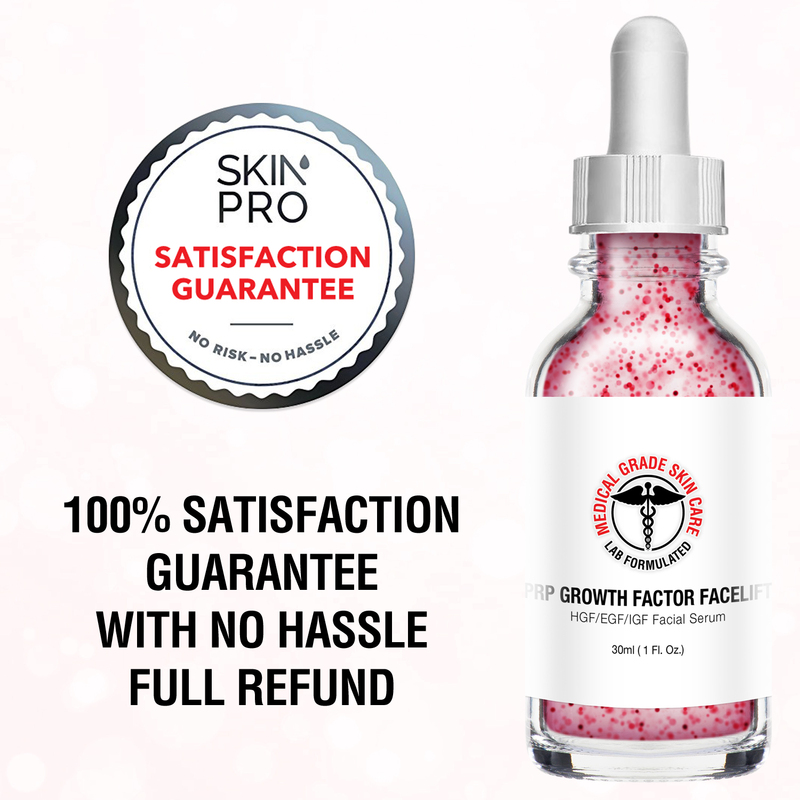 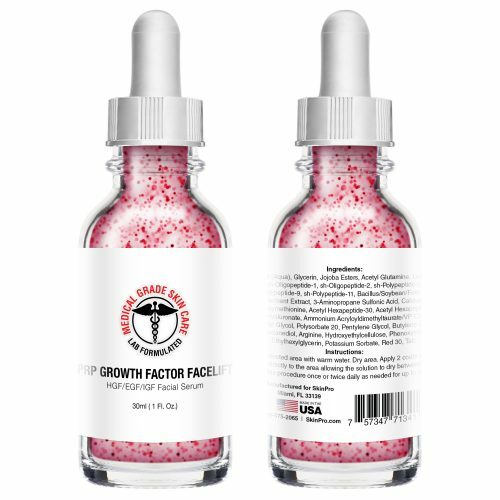 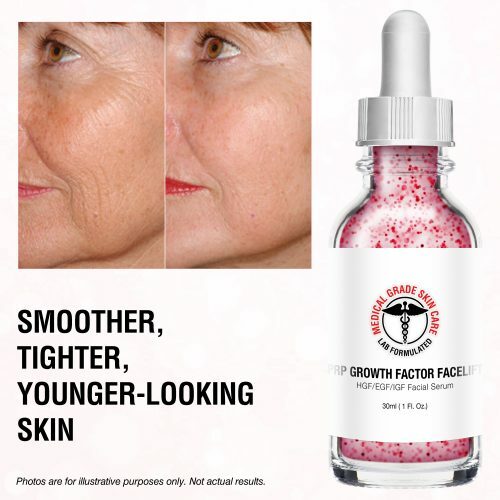 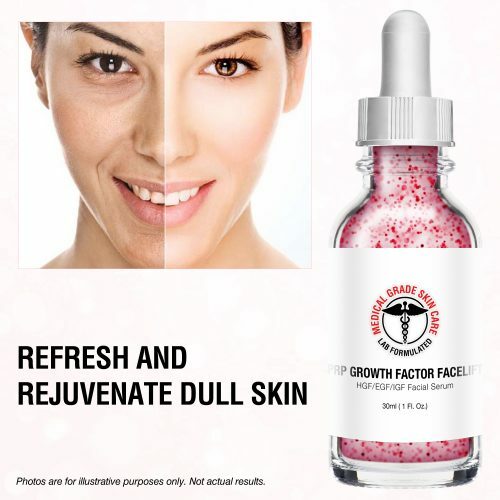 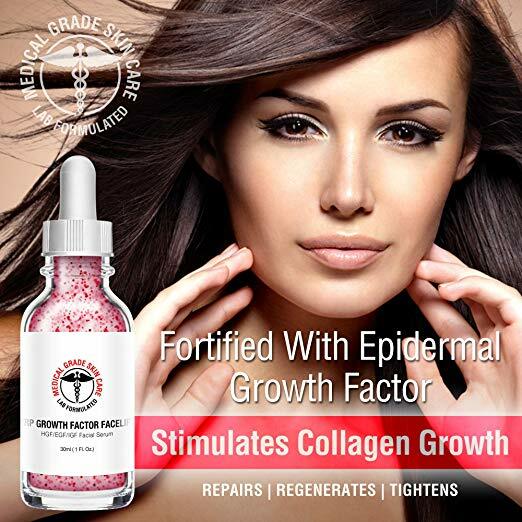 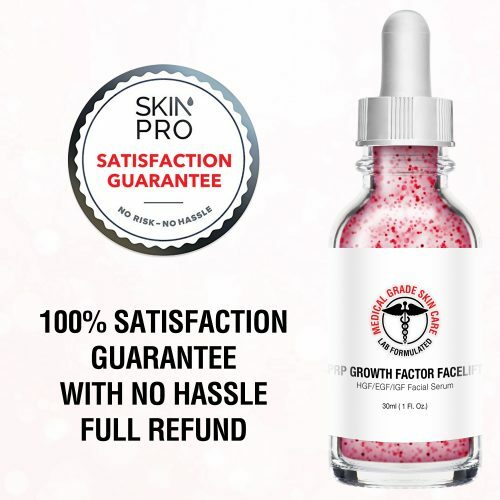 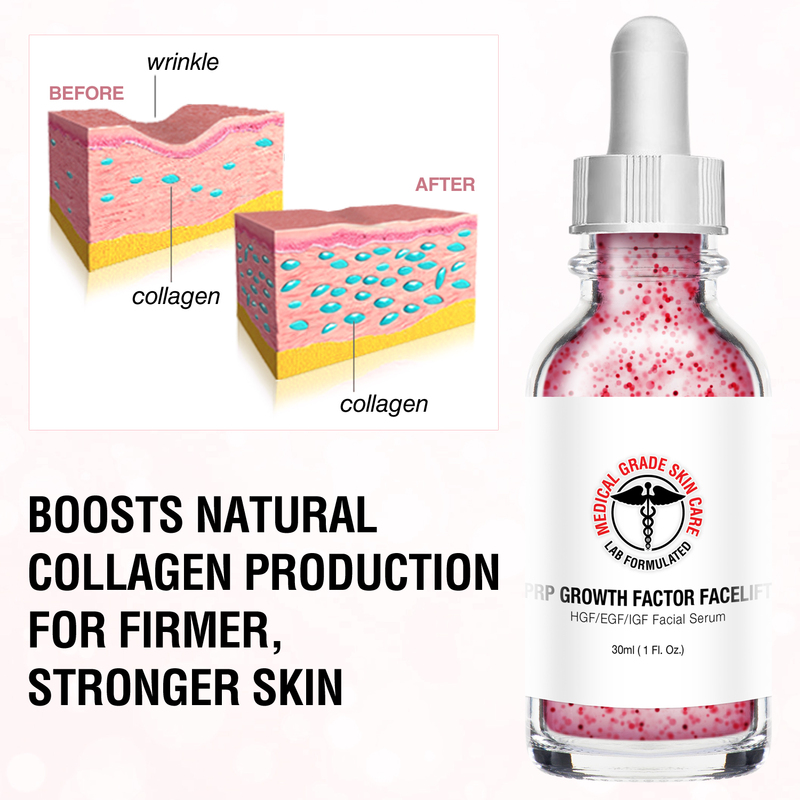 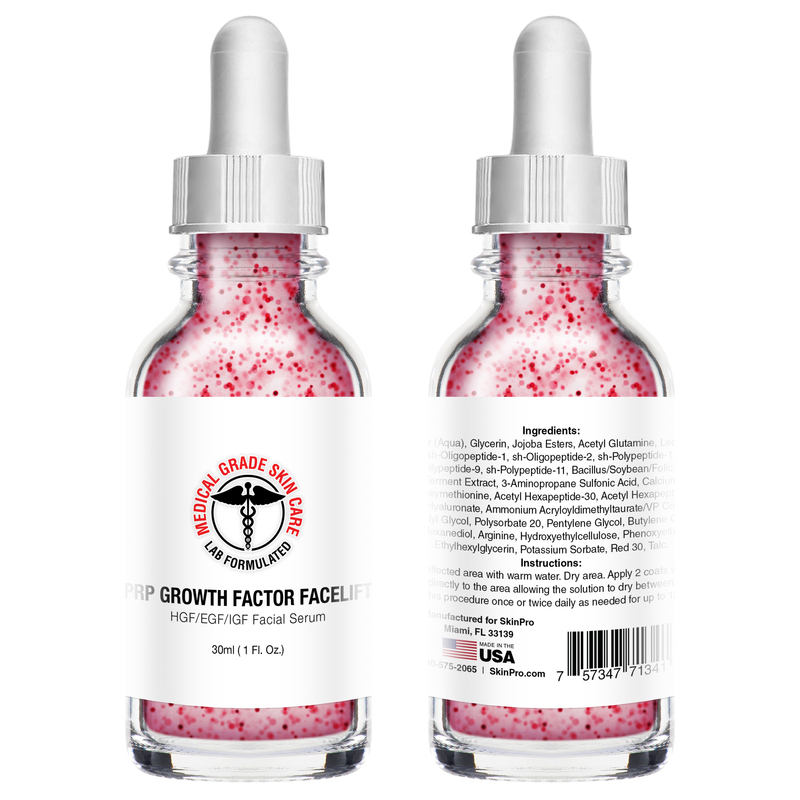 Reduce the appearance of wrinkles and renew your skin with our Medical Grade Skin Care PRP Growth Factor Facelift Serum, fortified with Epidermal Growth Factor and scientifically formulated to bring back a healthy and youthful appearance to the skin in the facial area. 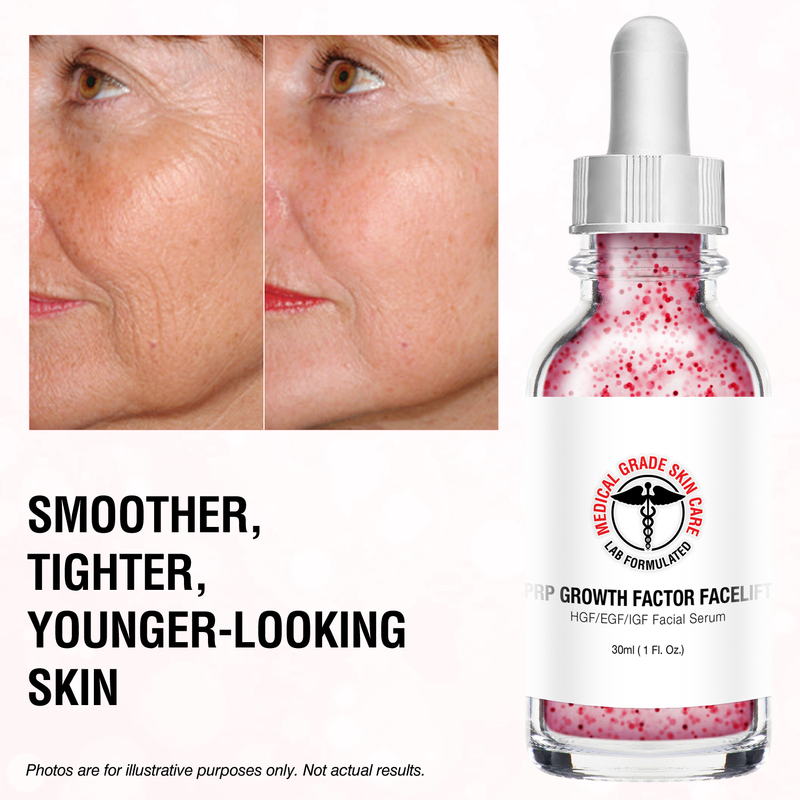 This product embraces the cutting-edge of skin care cosmeceuticals to reduce the signs of aging where it shows the most – the facial area. Apply drops as needed around the facial area and rub into the skin. 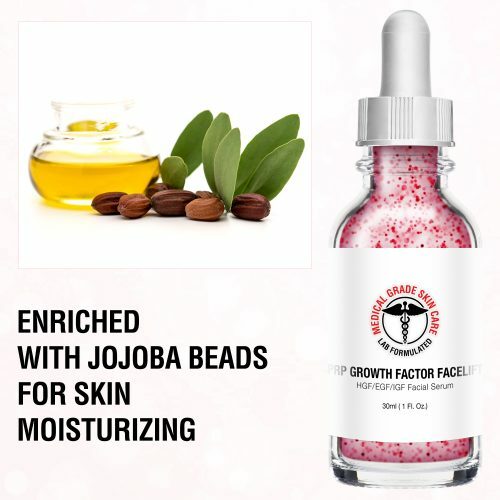 Water (Aqua), Glycerin, Jojoba Esters, Acetyl Glutamine, Lecithin, sh-Oligopeptide-2, sh-Polypeptide-1, sh-Polypeptide-9, sh-Polypeptide-11, Bacillus/Soybean/Folic Acid Ferment Extract, 3-Aminopropane Sulfonic Acid, Calcium Hydroxymethionine, Acetyl Hexapeptide-30, Acetyl Hexapeptide-8, Sodium Hyaluronate, Ammonium Acryloyldimethyltaurate/VP Copolymer, Caprylyl Glycol, Polysorbate 20, Pentylene Glycol, Butylene Glycol, 1,2-Hexanediol, Arginine, Hydroxyethylcellulose, Phenoxyethanol.